This is a summer festival held to offer prayers for the healthy growth of children while celebrating the birth of Tenjin-sama. The Chinowa (ring) is set up to ward off disasters in front of Romon Gate. A fair is also held and goldfish scooping is available in the precincts. 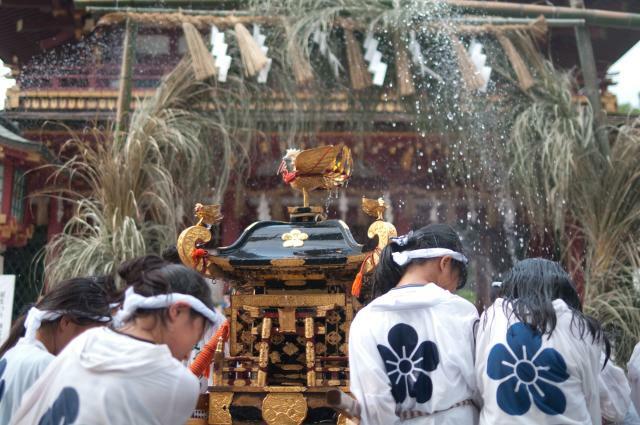 The Nagoshi Dance and the Children’s Mikoshi (portable shrine) parade are held as well. Also, July 25 is the day when Sugawara no Michizane passed away and Sentomyo is also held to remember him.